Rosebud Challenge Week 6, Day 38 – A Surprise Birthday! 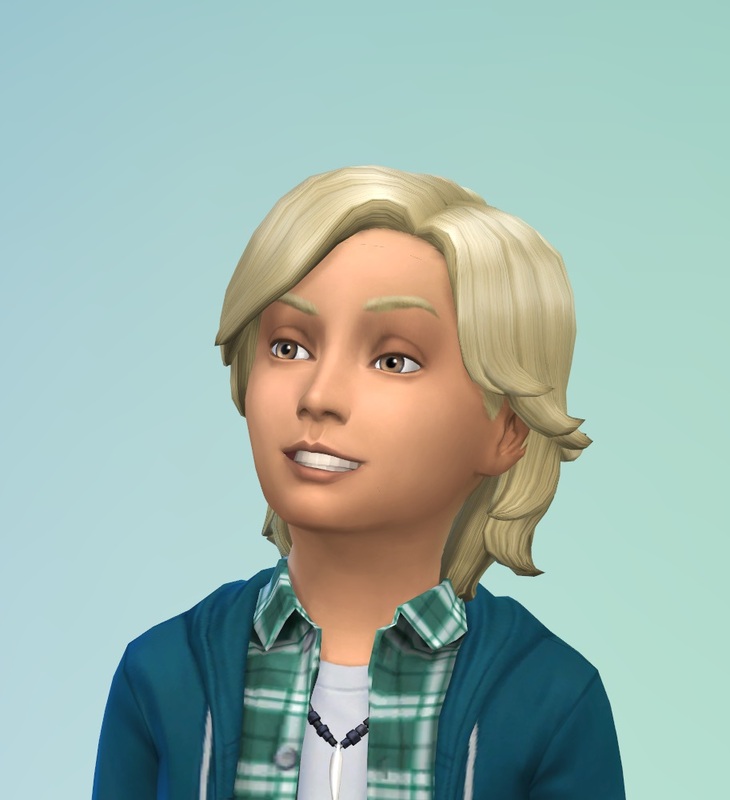 Yesterday was supposed to be Baby Forbes’ birthday but he didn’t age up, this is actually a blessing in disguise like Fortuna’s late birthday because it gave the family an extra day to earn some money they will need to remodel the house for the addition of a new fulling functioning person. 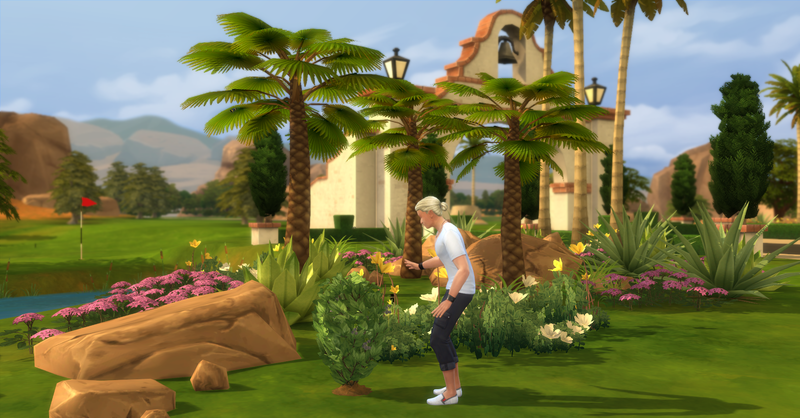 They have a personal goal to reach §100,000 simoleons before beginning this new construction. At 3:20 in the morning Baby Forbes ages up into a child, everybody missed it because they were all asleep. Wow that outfit is really ugly, off to change clothes immediately. 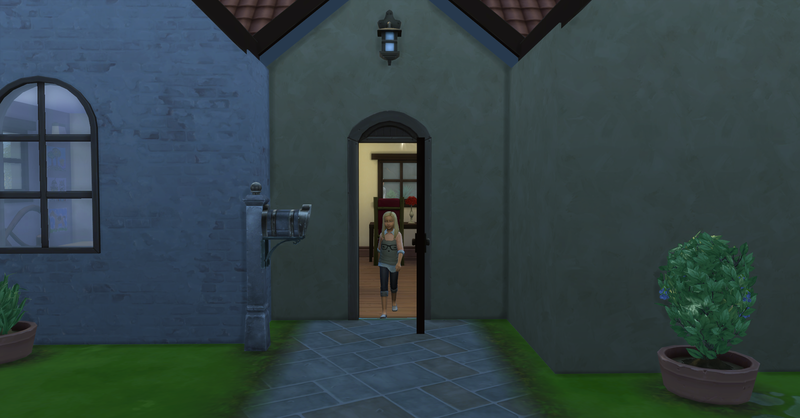 The family sells the crib for §150 simoleons, they are not planing to have another baby! Their funds are now §88,440 simoleons. 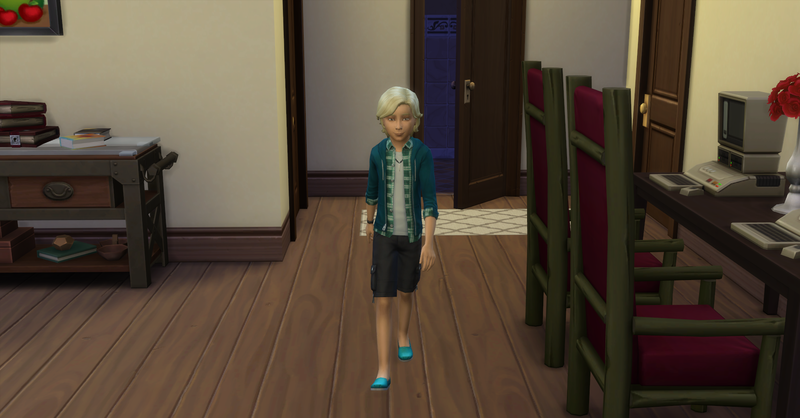 His childhood aspiration is Whiz Kid and his trait is Genius. After changing his appearance in the bathroom, Forbes heads into the living area because he is not tired after his transition. He does his homework in preparation for class in the morning. After he finishes he eats breakfast and watches some tv before everyone gets up. 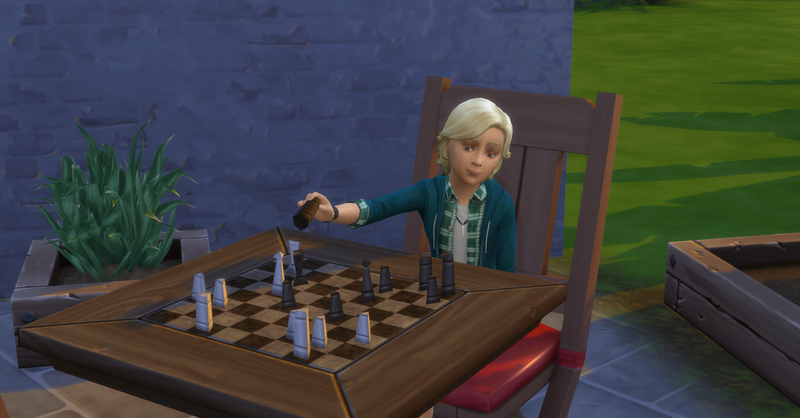 He then ponders chess moves for logic and to get focused for school today. 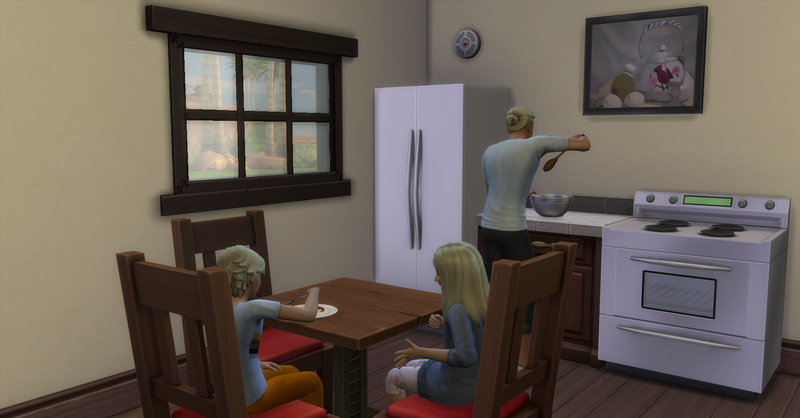 The rest of the family wakes up and Fortuna and Pawel eat breakfast together. 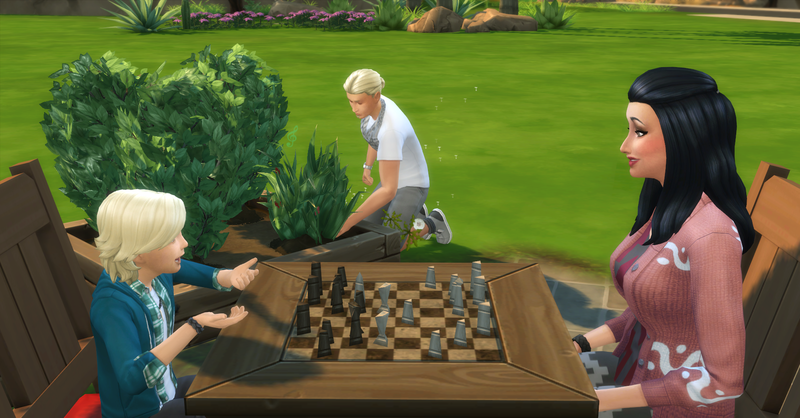 Fortuna joins her lil bro at the chess table to get focused for school while Pawel tends the garden and Rosabelle eats breakfast. Fortuna leaves for school, Forbes does not have to attend school today for some reason. 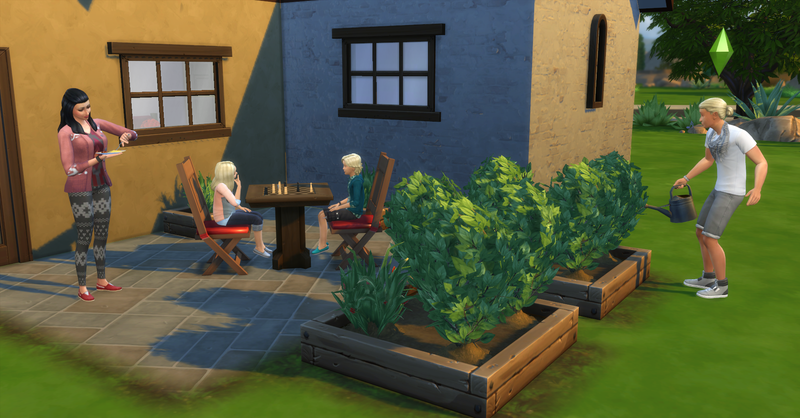 Rosabelle plays chess with him after Fortuna goes to school, Pawel is still tending the garden. 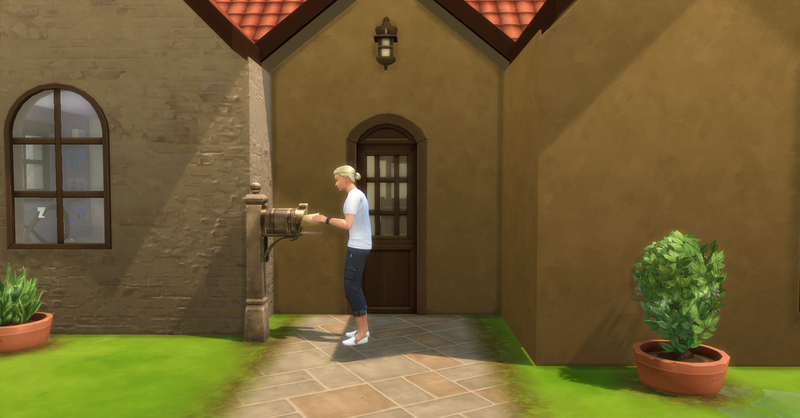 Today’s Royalty Report arrives, they have earned §6749, their funds are now §95,189 simoleons. They take some family photos for the wall and then Forbes goes to bed for a while because he is tired from being up so early. This weeks bills have arrived, they are §632, not bad again! Pawel pays them immediately, their funds are now §94,557 simoleons. 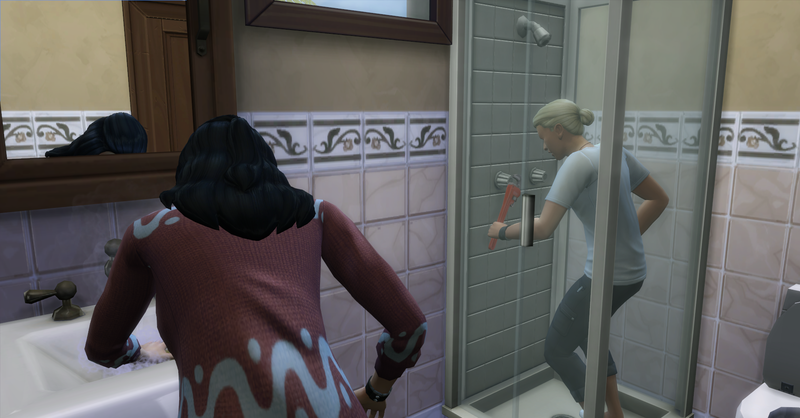 Rosabelle cleans the sink while Pawel upgrades the shower with a waterflow regulator which makes it less likely to break. He uses 2 common parts for this. After cleaning Rosabelle starts another biography called Still Life with Garden Hose. 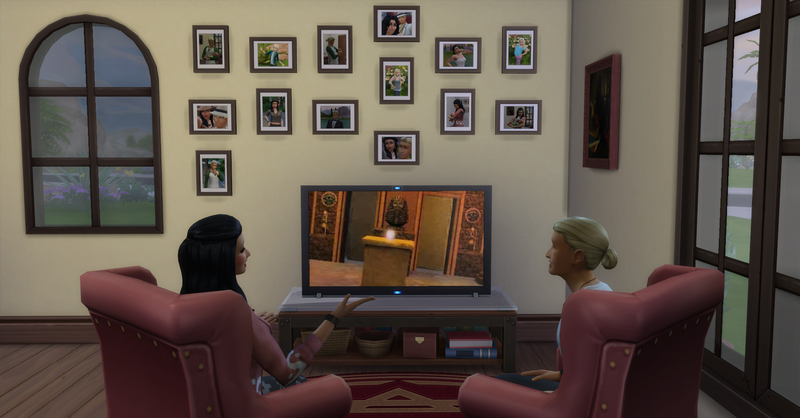 Fortuna comes home from school and watches some tv with Mom for fun. 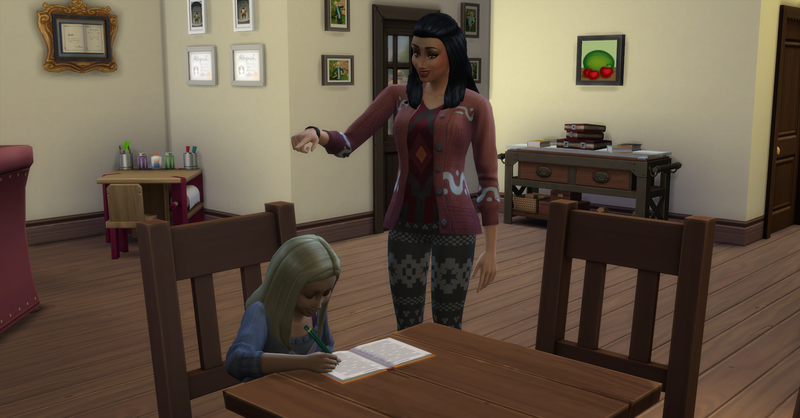 She then does her homework with Rosabelle’s help. Forbes wakes up and grabs the last serving of food. 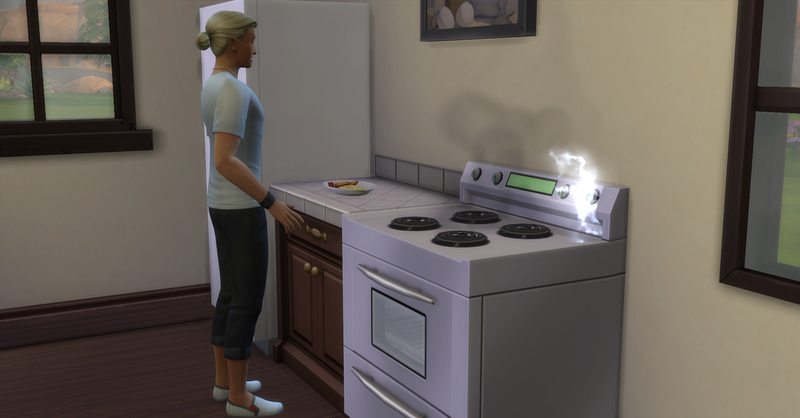 Pawel cooks more scrambled eggs (§10) and their funds are now §95,952 simoleons. 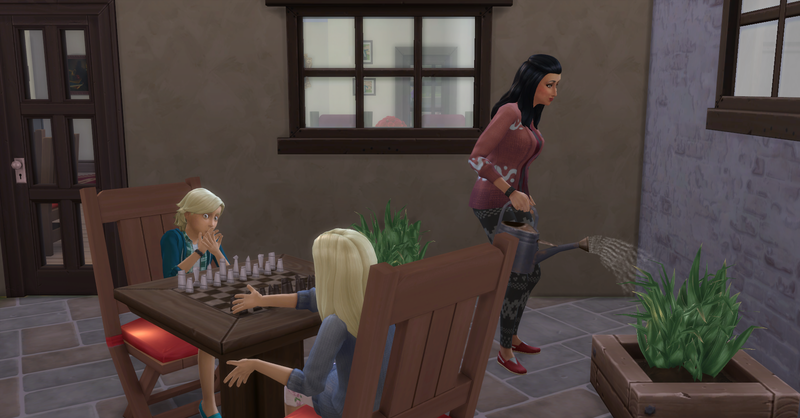 Forbes and Fortuna play more chess together and Rosabelle tends the garden. 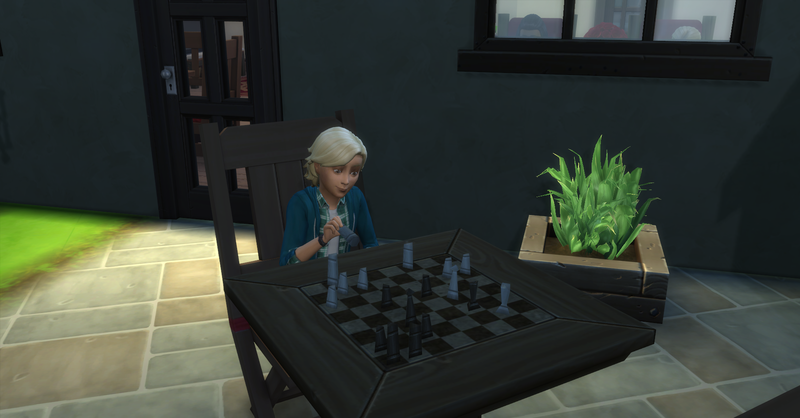 Fortuna goes to bed and Forbes stays up a little later to practice more chess. 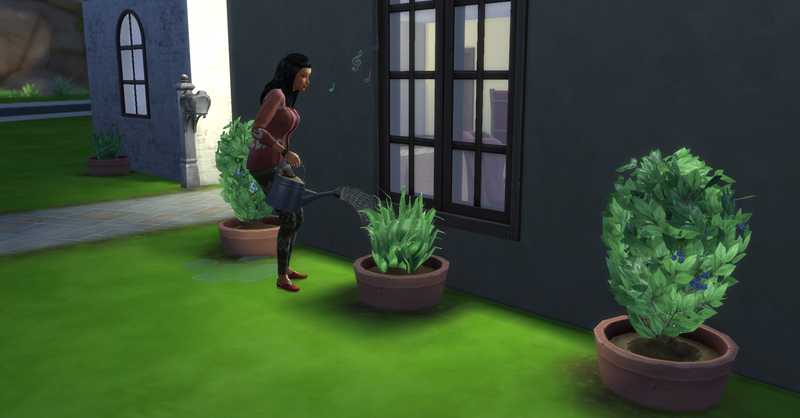 Rosabelle tends the front garden. The gardens are really becoming a full time job! 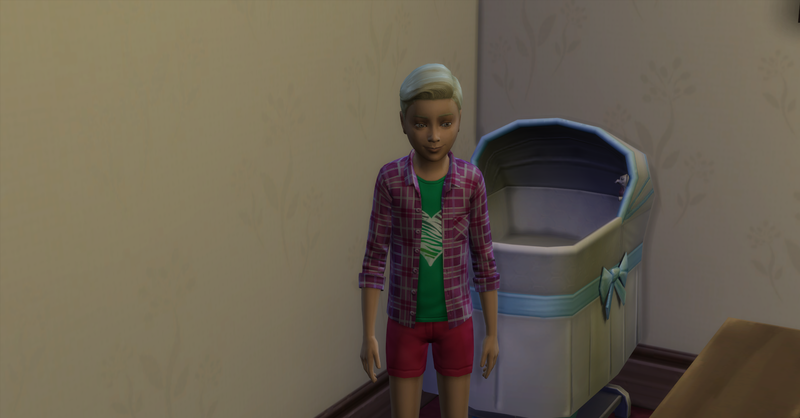 Forbes goes to bed, he has to sleep with his sister because they don’t have enough beds and haven’t reached their personal goal of §100,000 before remodeling. Author’s Note: The game actually automatically sent him to sleep there when he was tired. I thought I was going to have to remodel the house tonight but now they have a few more days. I do find this kind of weird and creepy but they are young and I know that very poor families sometimes have their kids share a bed like this. Feel free to tell me what you think of Forbes’ sleeping arrangements in the comments! Now that the kids have gone to bed, Rosabelle and Pawel enjoy some time together in front of the tv. Things heat up between them and they head to the bedroom. And spend some quality time together as husband and wife! 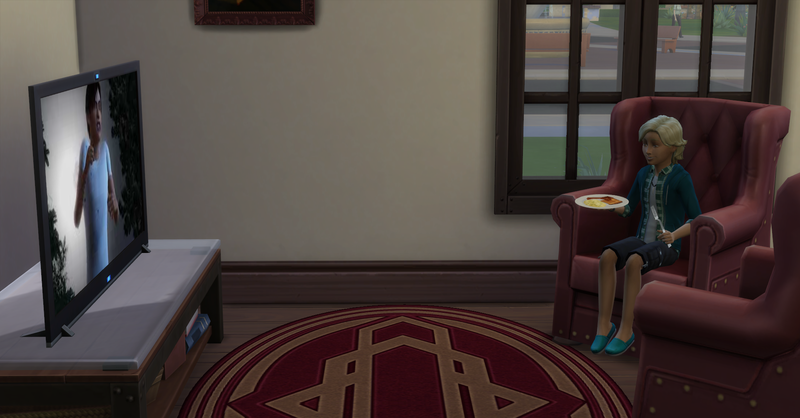 I was really surprised that the game let them sleep together, I have had problems getting 2 sims in a romantic relationship to agree to sleep in the same bed! It is very endearing and sweet actually, you are right! You are doing great to keep the bills low! 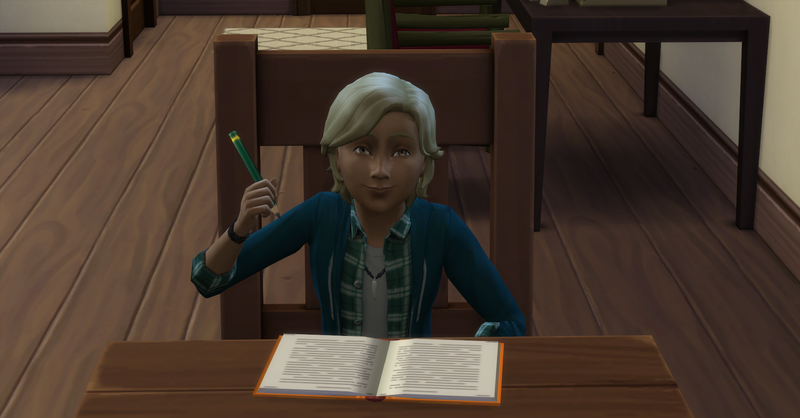 And that shot of Forbes holding his pencil, he looks exactly like a Whiz Kid! I think that the auto light feature is what is keeping the bills low. I can only hope that Forbes will do the family proud, he can be such a whiz and then such a goof sometimes.